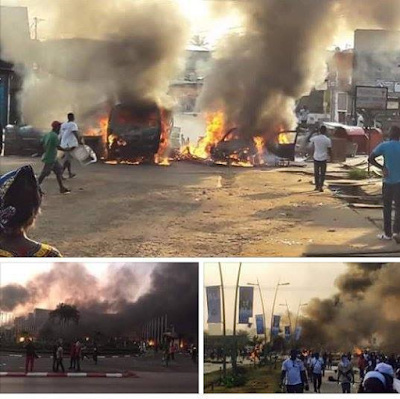 Angry protesters on Wednesday, set fire to Gabons national assembly as thousands of people took to the streets after an announcement that President Ali Bongo had been re-elected. 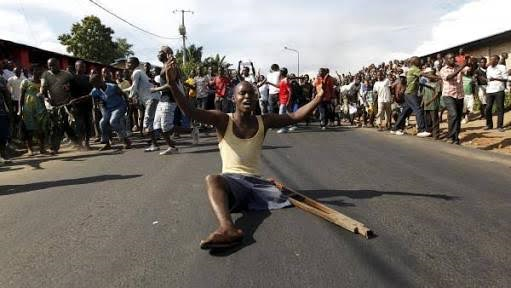 The clashes erupted immediately Bongo was declared the winner of Saturdays presidential poll, with opposition supporters chanting Ali must go". Two people were killed and dozens injured injured as Gabon security forces stormed the opposition's headquarters early Thursday morning, a source inside the building said. "They attacked around 1:00 am (0000 GMT). It is the Republican Guard. They were bombarding with helicopters and then they attacked on the ground. There are 19 people injured, some of them very seriously," said Ping, who was not at the party headquarters himself. 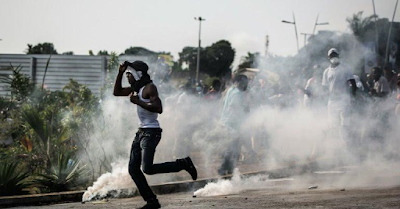 The president of the opposition National Union party, Zacharie Myboto, who was inside the besieged building, said security forces were hurling tear gas canisters and had opened fire. "For nearly an hour the building has been surrounded. 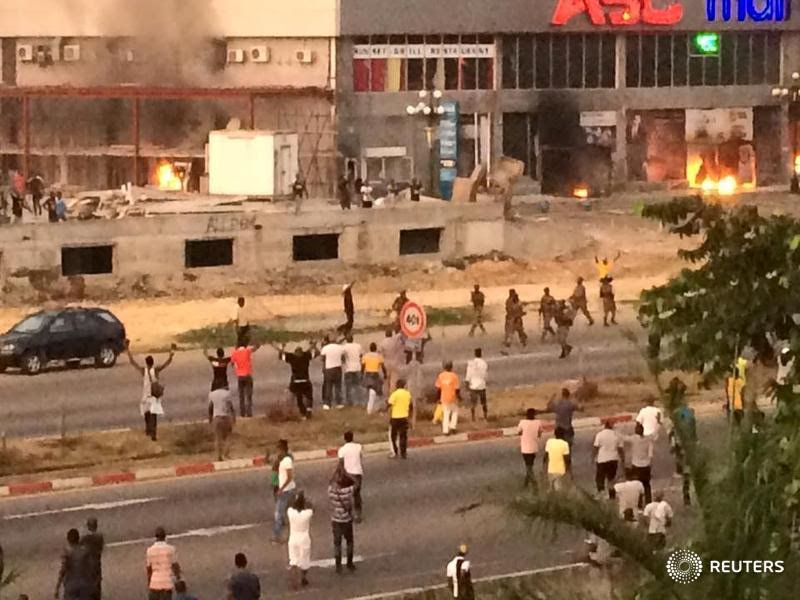 They want to enter the building… it is extremely violent," he said shortly after the siege began. 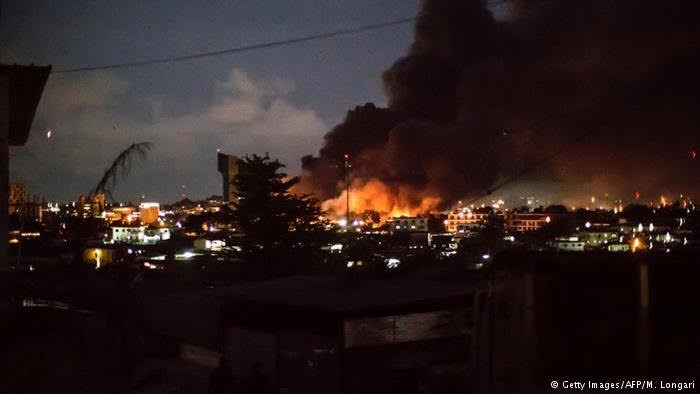 A government spokesman said the operation was to catch criminals who had earlier set fire to the parliament building. 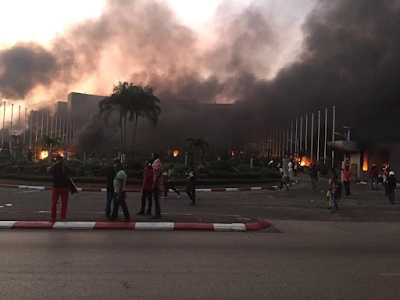 "Armed people who set fire to the parliament had gathered at Jean Pings headquarters along with hundreds of looters and thugs… they were not political protesters but criminals,"said Alain-Claude Bilie-By-Nze. A heavy military and police presence had brought large parts of Libreville to a standstill and internet access has also been cut. "We have said that the people of Gabon are in danger. They (the international community) should come and help us against the clan (of Bongo)," Ping told AFP. Results of the presidential election were announced Wednesday afternoon, handing Bongo a second term and extending the nearly five decade-long rule by his family. The results, which gave Bongo 49.8 percent to Pings 48.23 percent remain provisional until they are approved by the constitutional court. The opposition has described the election as fraudulent and called for voting results from each of Gabons polling stations to be made public to ensure the credibility of overall outcome. 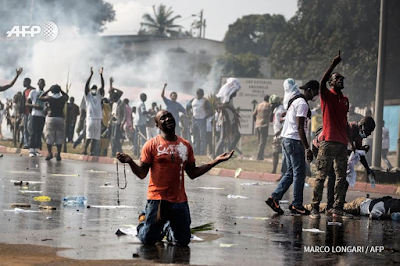 Bongo took power in 2009 in a violence-marred election that followed the death of his father Omar Bongo, who had ruled the oil-rich former French colony for 41 years. 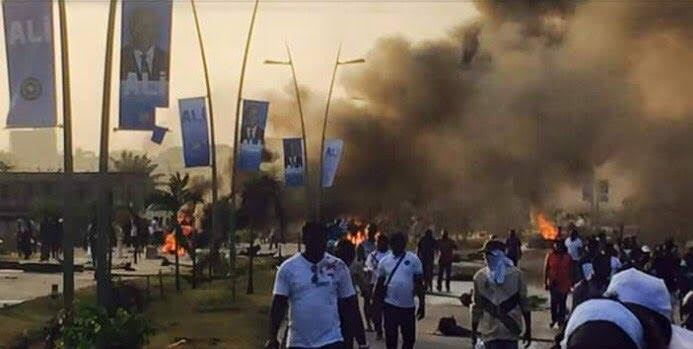 UN Secretary General Ban Ki-moon called for calm and expressed concern over the clashes and reports of arson, urging political leaders "to address their differences peacefully and to address any disputes they may have through existing constitutional and legal channels", the UN said in a statement.